If you are learning about the letter Q, don’t miss this fun Letter Q craft. 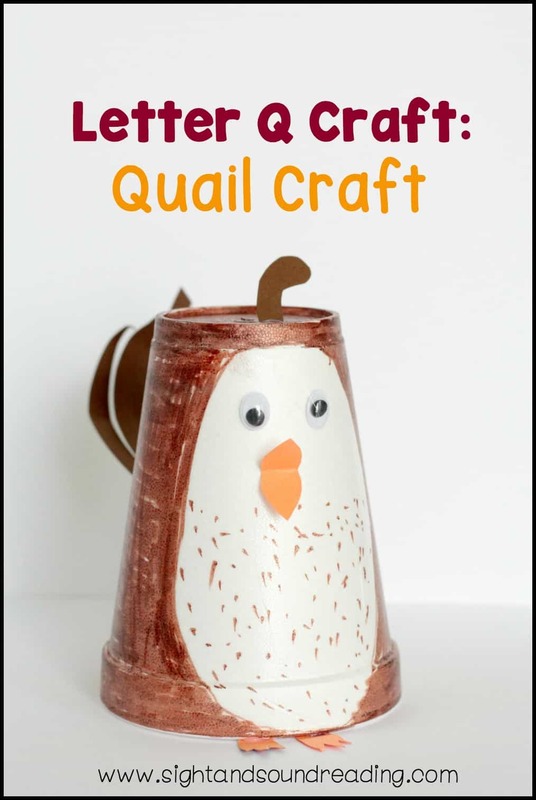 Quail craft made using a brown paper cup and just a few other supplies. 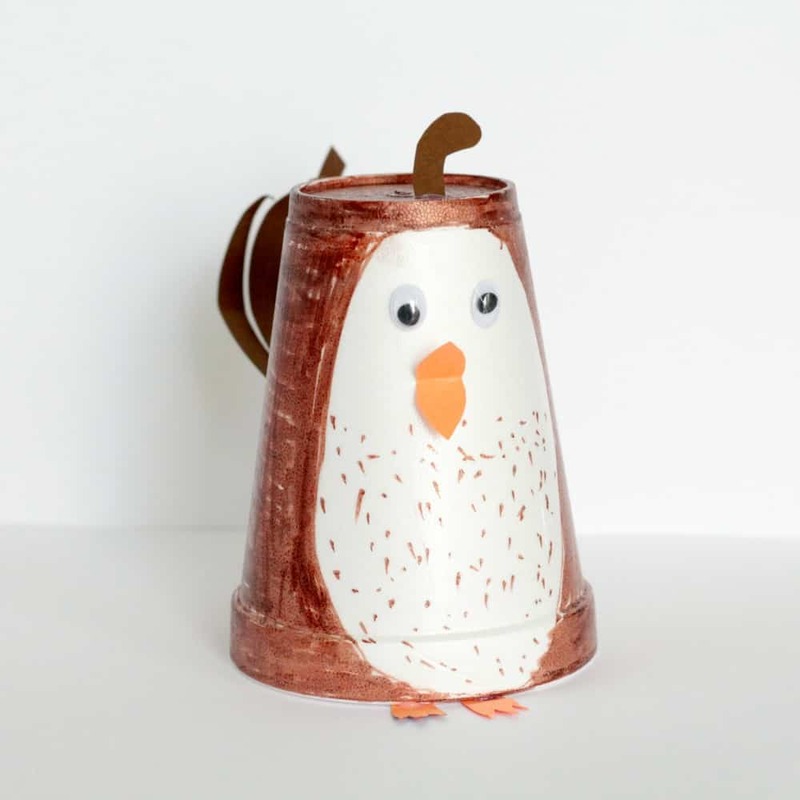 Little ones will love how fun it is to put this craft together. 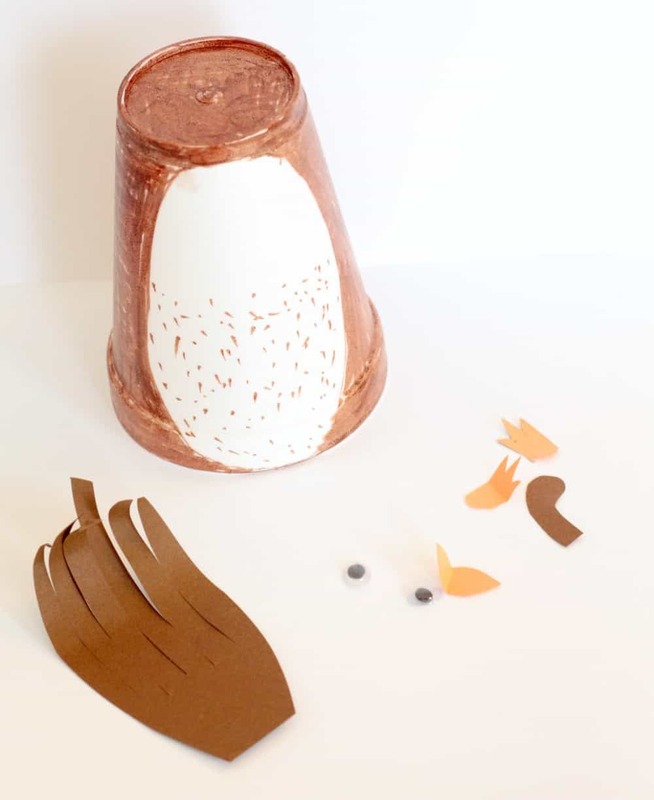 Use this activity during Q week at school, or any other time you need a Q craft or bird craft! Before starting this craft with kids, you will need to cut out some pieces in advance. Each child will need 1 white belly piece, a brown quail tuft, a brown tail, a beak, and two orange legs. Each child will also need two googly eyes. When craft day arrives, give each child all supplies they need to put their quails together. Use glue to attach the tail, beak, feet, eyes, and quail tuft. If you use a glue stick it will be easier than if you use dot glue, as the stickiness of the glues stick holds things in place better on a 3D surface. Add brown dots to the white belly piece and glue in place. Let the quails dry before letting kids play with them or take them home. Otherwise, you’ll lose pieces along the way. While making the craft, have kids think of other things that may start with the letter Q, like quiet, quilts, and queens. Maybe a child is wearing the letter Q on her/his shirt? Do a quick search in the classroom for anything else that either starts with Q or has the letter Q on it. Kids will love this activity in conjunction with the craft, and it gives faster crafters something to do when they are done.